The Dream Project - An original work choreographed by Chun Jou Tsai. 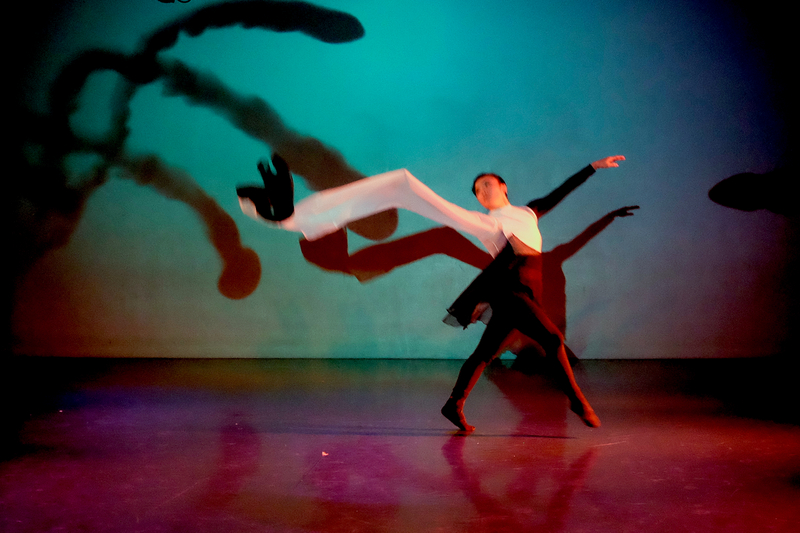 The dance work is about visualizing the beauty of Chinese calligraphy in a Buddhist poem using traditional Chinese long-sleeves dance technique with Western improvisational modern dance technique. This poem, when loosely translated, reflects the sentiments felt by many pursuing any kind of dream: just when you feel the most hopeless and defeated about your hard work is when you have to keep striving towards your goal, like a plum blossom breaking through the first snow of winter. Performed by: Chun Jou Tsai, Jasmine Teng, Hsia-Hua Liang, Kara Foote, Nikki Girroir, Jorge Delgado, Brian Mirage, Jacob Regan. Chun Jou Tsai is a native of Taiwan with extensive knowledge of dance performance, choreography, education, and acting. The goal of Chun Jou Tsai is to explore the sparkle and possibility of emerging diverse art, culture and movements. In 2013, Ms. Tsai received MFA degree in Case Western Reserve University in Contemporary Modern Dance. She has received numerous awards for her choreography and performance since 2005 as well as funding to attend the prestigious American Dance Festival 2008 and 2011, and Vienna International Dance Festival (ImPulsTanz) in 2013.